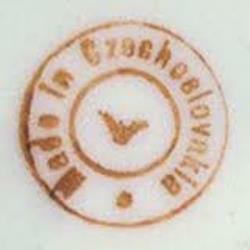 If you run across this mark that reads “Make in Czechoslovakia,” you will know the piece was made between 1918 and 1993. For appraisers and dealers, there are some instant identifiers to determine earliest possible dates of production, some as simple as the country of origin mark. In the course of human history, war often change the boundaries of countries, or even create new countries where none existed before. One prime example is Czechoslovakia. Simply seeing Czechoslovakia as the country of origin stamped on a piece of china, a bronze figure or silver-plate tea sets tells us immediately the item cannot predate 1918. Czechoslovakia only came into existence in October 1918, at the end of First World War, as part of the Treaty of St. Germain. The country was cobbled together out of what is now the Czech Republic, Slovakia and Carpathian Ruthenia. Czechoslovakia ceased being a country Jan. 1, 1993, when it was divided into the Czech Republic and Slovak Republic. Another country-of-origin clue that changes due to war pieces marked “Made in West Germany,” “W.Germany” or “Western Germany.” At the end of the Second World War in 1945, the Western zone of Germany was under control of the Allied forces of Great Britain, the U.S. and France, while the Eastern zone controlled by Soviet Union. “West Germany” is the English name for the Federal Republic of Germany, which was officially formed in May of 1949. 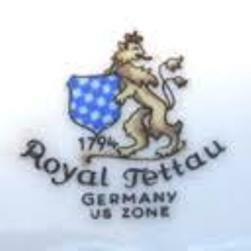 What this means for collectors today is that about the earliest date you will run into for pieces stamped “West Germany” or alike are going to be 1949, and the latest being right before the German reunification, which occurred on Oct. 3, 1990.